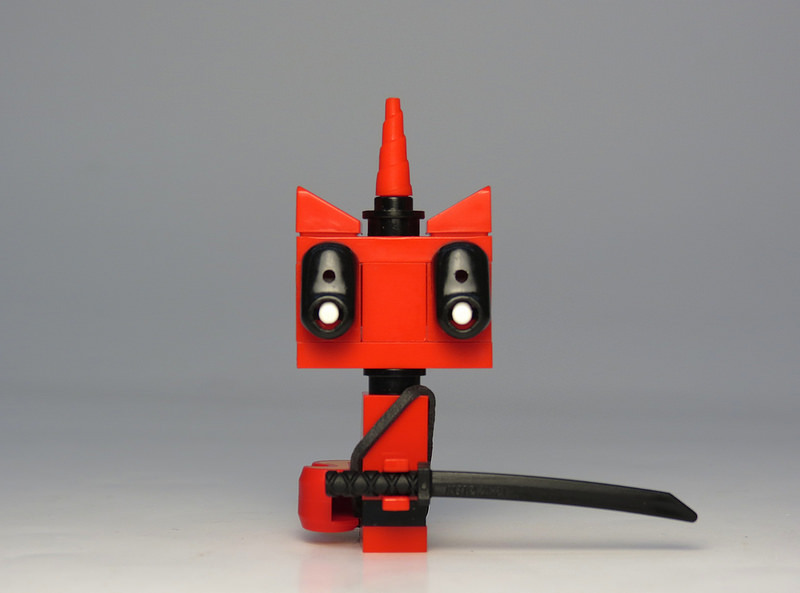 As the fourth entry in the LEGO cinematic universe, The LEGO Movie 2: The Second Part has the tricky task of following the established formula for LEGO movies while also trying to stand apart as a unique experience. It passes the first test with flying colors. The movie is full of the requisite witty gags, clever animation, unexpected cameos, heartwarming lessons about family, and those awe-inspiring builds that translate into wallet-draining products. However, the film strains under the weight of expectations and an abundance of characters that doesn’t quite reach the heights of The LEGO Movie. If you’ve enjoyed previous installments in this franchise, I definitely recommend seeing this movie without reading any further. The less you know, the more delightful and unexpected this movie will be. But if you want to know more, then read on, my friend. Today LEGO and Warner Animation Group have officially announced the sequel to their mega-hit film The LEGO Movie. 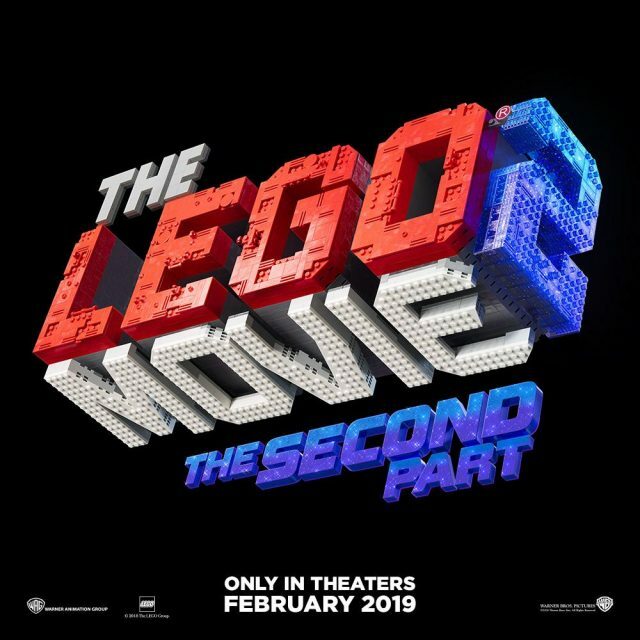 Slated for release in theaters next February, exactly 5 years after the original, the new movie will be titled The LEGO Movie 2: The Second Part. We don’t yet have any word on the plot, but the movie has lined up the same all-star voice acting cast as the original, including Chris Pratt as Emmet, Elizabeth Banks as Wyldstyle, and Will Arnett as Batman. I hope you have kept February 2017 clear on your calendar. We got a new trailer today for The LEGO Batman Movie, and it does not disappoint. The LEGO Batman Movie stars Will Arnett as Batman, Ralph Fiennes as Alfred, and Michael Cera as Robin. You can catch it in theaters February 10, 2017. 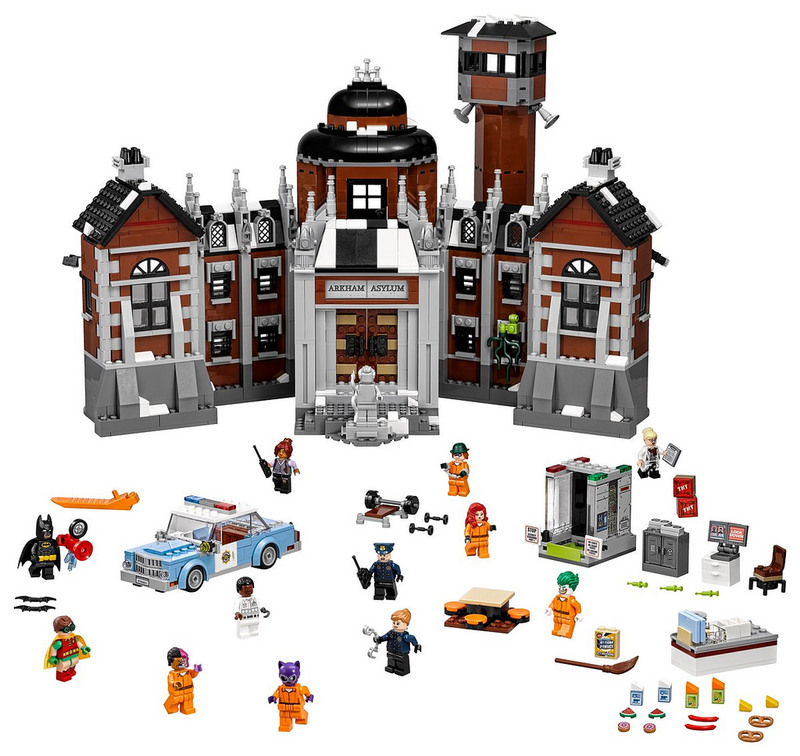 In case you missed it, LEGO will be releasing sets along with the movie, many of which were revealed at New York Comicon. 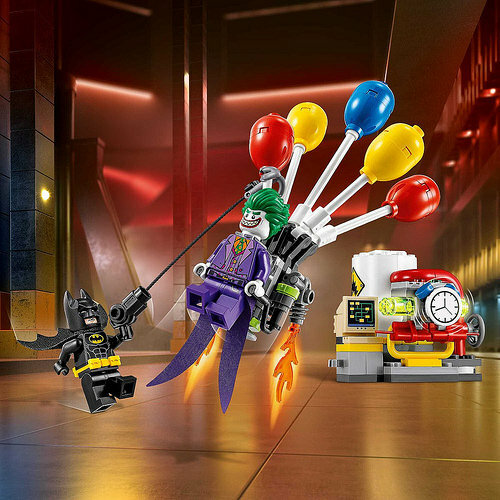 [Update] LEGO has also announced two new LEGO Batman Movie sets this morning. They will be available in January. 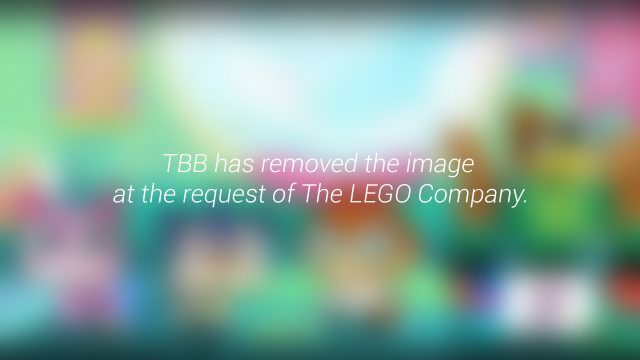 New York Comicon starts in a couple days, and LEGO has started teasing some of the great things to be revealed during the event. In anticipation of the LEGO Batman Movie (hitting theaters February 2017), LEGO has revealed three additional new sets on Facebook and Twitter for the movie: The Batcave, Batman vs Mr. Freeze, and Arkham Asylum below. Following on from the success of The LEGO Movie, Warner Bros have announced both The LEGO Batman Movie and The LEGO Ninjago movie. Yesterday, USA Today released a clip of an animated short from the latter, entitled “The Master battles a chicken”. The LEGO Ninjago Movie is due in theaters September 22, 2017, and features a stellar cast including Jackie Chan as Master Wu. The short will play before Storks, due to open in theaters September 23, 2016. The color contrast in the picture is excellent, with the red of the “resistance piece car” really popping against the blue sky backdrop. 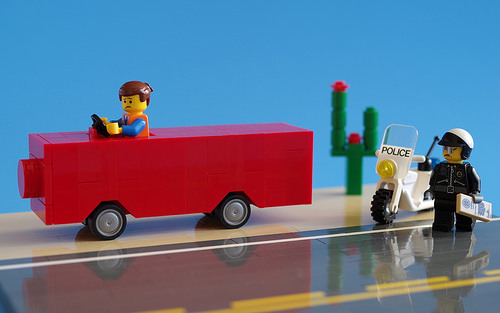 And the brick-built vehicle itself and the road surface are nicely done. But the choice of face for the Emmett minifig was the touch of detail which made me smile. And, when it comes down to it, surely that’s what a LEGO creation is for? “The Birth of Venus” by Sandro Botticelli is one of those paintings that you study in Art History, poring over the symbolism and innovative Renaissance techniques until the painting becomes one with the millions of reproductions you’ve seen all your life, losing any interest or meaning it may have had. (Clearly, I much prefer “Primavera”…) So, I’m always pleased to run across a refreshing new take on a classic work of art. 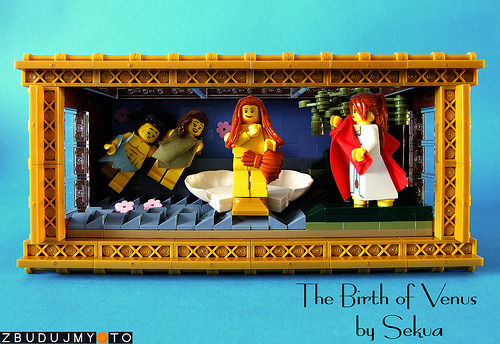 Polish builder Bartłomiej Sekuła has built a three-dimensional version of the painting reminiscent of a tableau vivant, with minifigs representing each of the figures in the original work. That’s actually pretty cool on its own, but Bartłomiej goes one step further with a parody version of this iconic scene. Click for the big reveal! 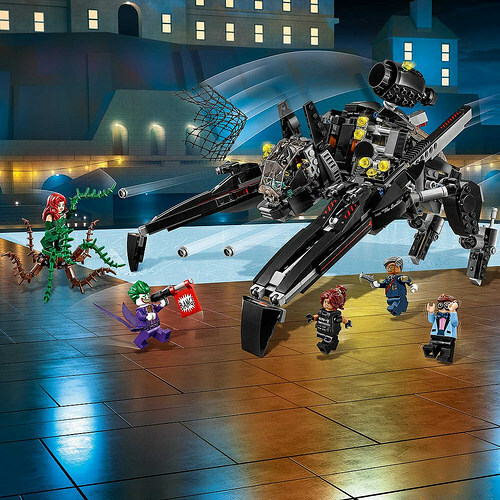 If you missed it at 25% off a couple months ago, 70816 Benny’s Spaceship, Spaceship, SPACESHIP! 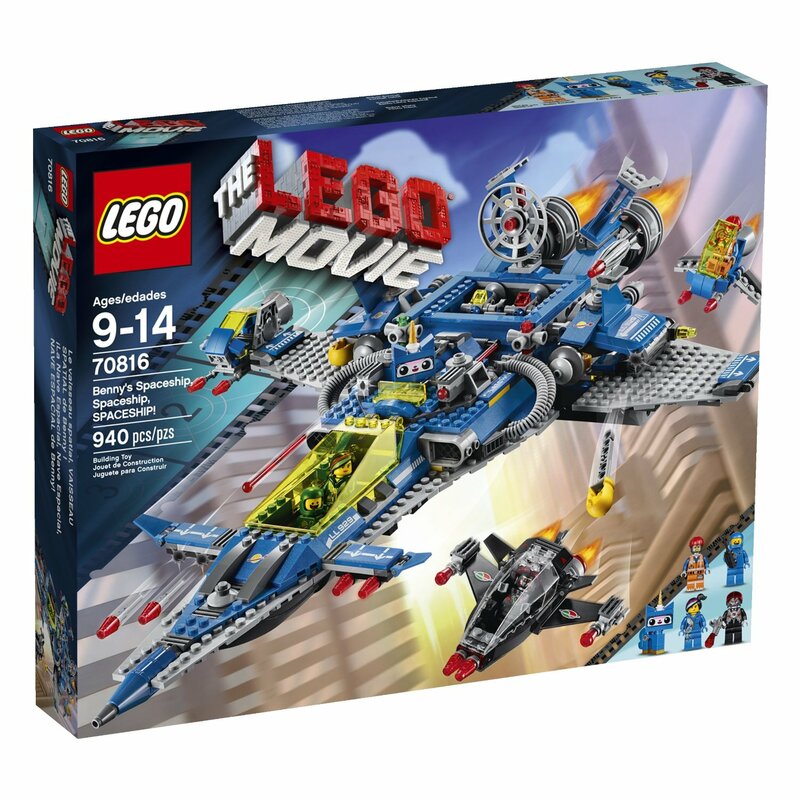 from The LEGO Movie is on sale again from Amazon, available at $75.95 instead of $99.99 (about 24% off). 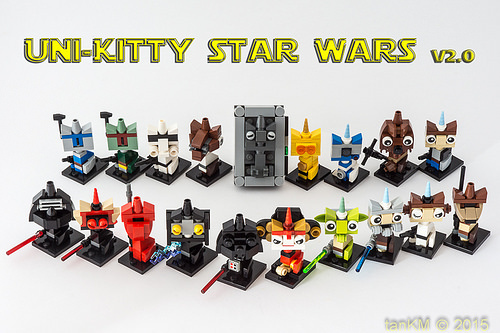 You can read our review of this fantastic set here on The Brothers Brick. 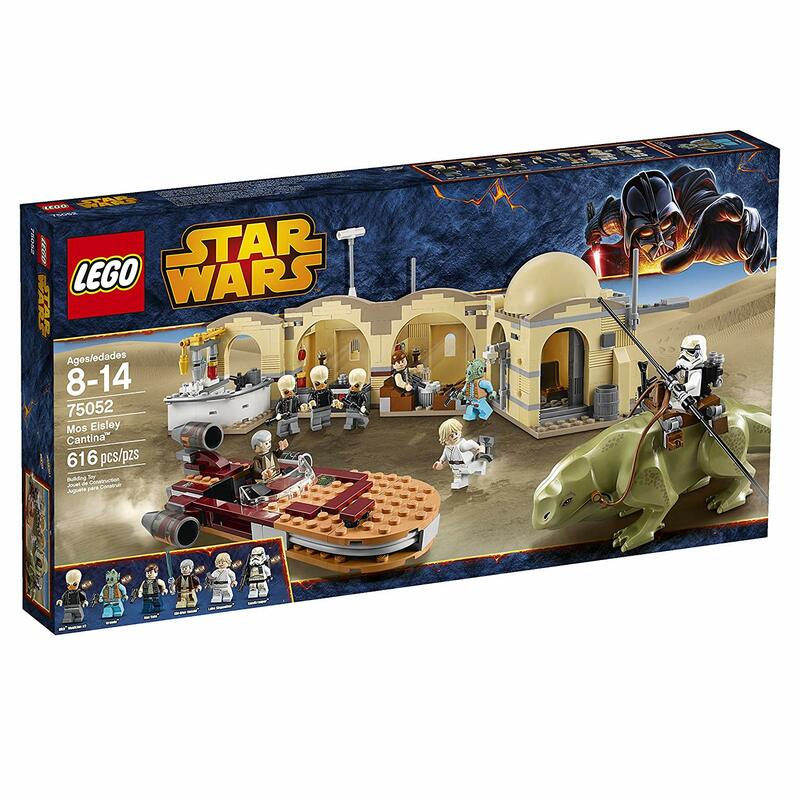 A fair number of other LEGO sets are on sale for 20% or more off, including 75052 Mos Eisley Cantina, which is $15 off. As always, a portion of the proceeds from any sale on Amazon goes to support The Brothers Brick, without any additional cost to you. 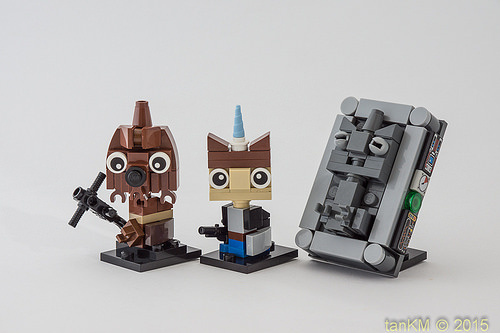 We’re having an animal-centric day here at The Brothers Brick (at least so far). A parrot named Princess Yellow Feather sings selections from Everything Is Awesome!!! 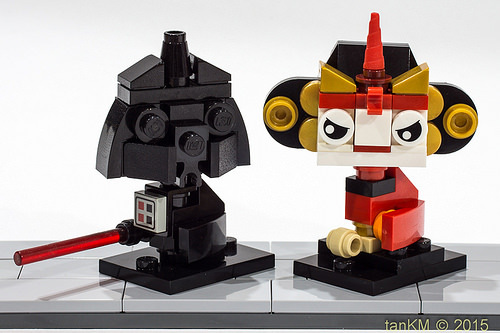 from The LEGO Movie — need I say more?